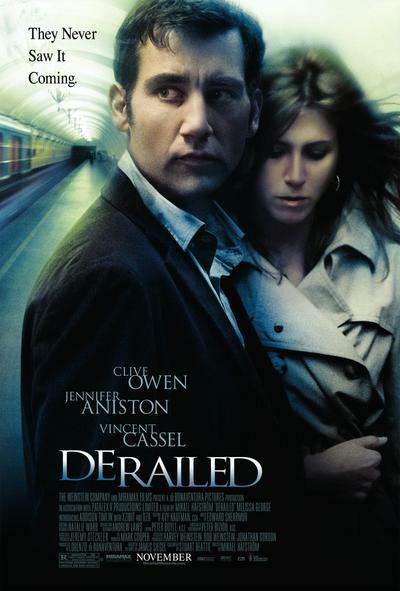 Story: "Derailed" is a suspense thriller about ad exec and family man Charles Schine who meets business woman, Lucinda, on the commuter train to Chicago. Flirtation quickly escalates, but their fling turns dangerous when a violent criminal, LaRoche, blackmails them, promising to reveal their indiscretion and threatening their families if they to not pay him. With their lives thrown terrifyingly off-course, they must figure out how to turn the tables on LaRoche and save their families.